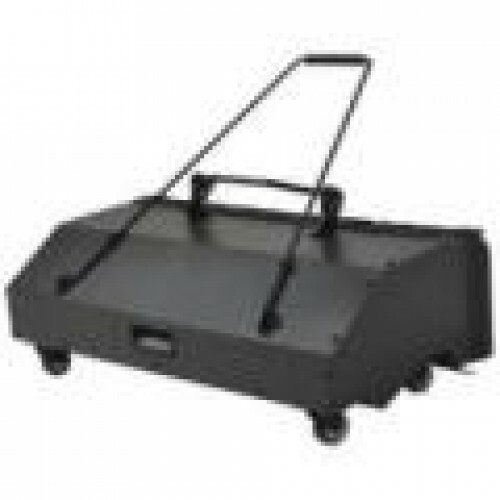 SOLID COLLECTION HOPPERS OR DROP THROUGH COLLECTION HOPPERS FOR ARTIFICIAL GRASS ARE AVAILABLE. 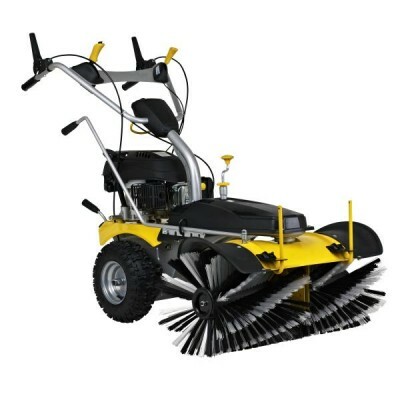 Smart Sweep 1000E sweeper is for everyone who has a to take care of large outdoor areas all year around. 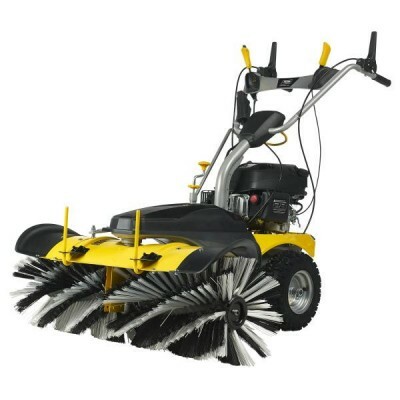 The variable brush speed can easily be changed using, the yellow handle on the handlebar. Smart Sweep 1000 can sweep sand and gravel at a steady pace, which reduces dust, and in the high sweeper gear sweep fast enough to effectively throw snow, wet leaves and mud away. For effective Snow Plowing has TEXAS developed a special set of snow brushes using the specially designed pattern, bristle stiffness and the high speed, Smart Sweep 1000 can deliver, effectively clearing the roads and pavements.Perfect for all types of tennis court. Smart Sweep 1000E are equipped with large rubber wheels that ensure a firm grip on any surface. The sweeper height is adjusted by a single pneumatic tyre that run easily on all surfaces, making Smart Sweep particularly suitable for sweeping uneven surfaces like cobblestones where more conventional sweepers have a hard time. The handlebare of Smart Sweep 1000 can be height adjusted for optimal ergonomic height. And the special construction of the handlebar ensures minimal vibrations for the user. broom speed : 180-350 rev./min.